Exotic.Charming.Historic. Just a few words to describe beautiful Bahrain. For a gentle step into the Middle East I highly recommend the Kingdom of Bahrain. I had a brief stopover in Dubai before my December 2016 visit to Bahrain but I wouldn’t count this as a true taste of the region. Friends of mine from India are living and working and invite me to come and stay. It’s always the best way to see a country, with locals and friends. At times I even felt like I was in India, being surrounded by my lovely Indian friends and family, listening to Bollywood music and eating Indian food. But they made sure to get me out and about to see as much of Bahrain and experience this country rich in history. Dubai to me is manufactured and I didn’t get a sense of what the culture of the country is. It’s largely an ex pat state and it is really built for tourists. Although Bahrain is also quite a transient place with 40% of their tiny 2.5 million population being made up of ex pats, they have made sure to stay true to the roots of culture, and incorporated the new well. I want to share detailed posts about each of the main tourist sites I visited, but I shall share here just a few of my favourite photos shared to Instagram. Enjoy! Really enjoyed experiencing some history of Bahrain today at Shaikh Isa Bin Ali House. The Manama Souq in Bahrain, wonderful place to enjoy some shopping and get a vibe for the old markets of this area. They’ve modernized it but the haggling and trading of the souq is still there. Standing in the courtyard of the Grand Mosque in Bahrain. Incredible structure. More sightseeing by car. Love this twisty office building near the Bahrain Financial Harbour and in the distance theBahrain World Trade Centre. Magical lighting brings the Bahrain Fort to life at night. Lion King eat your heart out! Being a kitty in the Tree of Life in Bahrain. The Bahrain Fort was the perfect place to finish my wonderful experience in Bahrain. Fortunately having gone to the National Museum the day before, I knew some of the fascinating history of this important site. The lighting was fantastic and I highly recommend going at night. Beautiful day for spotting some of the key sites of Bahrain. This is the stunning Grand Mosque. Look forward to exploring tomorrow. Afternoons in Bahrain. Taking in some culture at the National Museum. This is the beautiful view back over the city from the outside of the museum. Please do yourself a favour, head to the Kingdom of Bahrain and enjoy the laid back and chilled isllnd vibe of the Middle East. 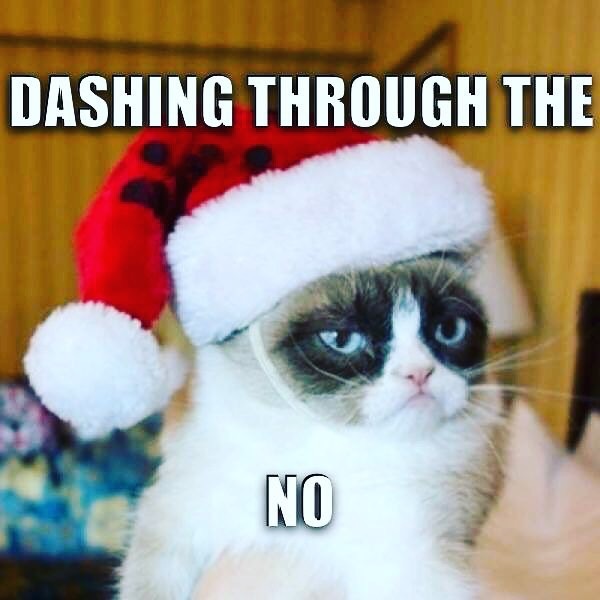 Yesterday, in the middle of a crowded shopping center, I had a mini tantrum and Bah Humbug rant… It was contained in a message to my mother, but it happened. I like to think I’m kind and generous. But Christmas does not bring this out in me. Being told by shops and marketers that it is the time for me to be generous in the form of giving many unnecessary gifts doesn’t fill my heart with joy. Gift (noun): 1. a thing given willingly to someone without payment; a present. I was frantically pacing the shops looking for “gifts” to give, without any idea of what I wanted to hand over, because that’s what you do at Christmas. Every year I say “no gifts”. But somehow I fall into the trap. I’m not a grinch. Not really… But I feel like one. I love seeing someone made happy by something thoughtful and caring. I love giving gifts. But because I want to! Not because I’m told to by a holiday, which is actually about the birth of Christ. So really, the only person who should be getting a gift is Jesus, it’s his birthday. Pretty sure he would want us to be loving, kind and warm to one another above all else. Not pulling our hair out about which crackers to buy, what to have for dinner and how much you’ve spent so far. I do genuinely wish everyone a very Merry Christmas, the true spirit of Christmas, love. So today, I’m sending love to Syria. To all those who don’t have a home, won’t be receiving presents and may not be with loved ones. I cannot imagine what it would be like to endure such constant terror and sadness, with still no end in sight. 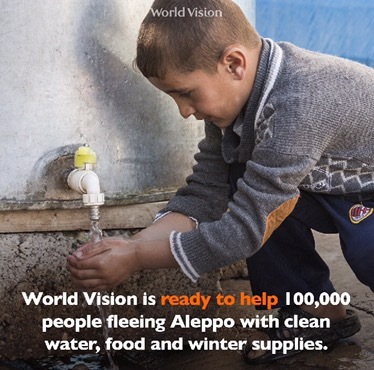 Today, I’ll make a donation to World Vision Australia. A gift of hope. I encourage you to think outside of the tree, glitter and gift wrap and open your heart to kindness.